About the Event | Registration Info | Fundraising Opportunities | Prizes | Transportation | Pre-Race Bib Pick-Up | Race Day Schedule | Contact Us | Shoutout to our Sponsors! Camp Casco’s first annual Run/Walk for Cancer Survivors will unite community members through a family-friendly 5K celebrating local cancer survivors. 100% of funds raised will directly support our annual summer camps and family engagement events throughout the year, creating lasting support networks between families impacted by childhood cancer. All cancer survivors participate free! Our race will take place within the beautiful Arnold Arboretum of Harvard University. Enjoy views of the gorgeous scenery while you run or walk for a fantastic cause! Kids under 5 and cancer survivors of all ages run for free! All participants that register by April 30 are guaranteed a complimentary race shirt. 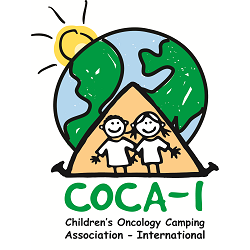 Click "Sign up to fundraise" during the registration process to become a Fundraising Ambassador for Camp Casco! Your personal fundraising page can be sent to your family and friends so they can pledge donations in support of your participation. This is not required to participate, but is a great way for your virtual cheering section to support you and Camp Casco at the same time! All participants who fundraise at least $100 will receive a full refund of their registration fee. Prizes will be awarded to our top raising individuals! Finish first to win a great prize! Take the MBTA Orange Line to its southern end – Forest Hills. Turn left as you pass through the turnstiles. Exit through the door marked “Arnold Arboretum.” It's about a 5 minute walk to the start/finish line. Take the #39 bus to the South Street and Custer Avenue stop in Jamaica Plain (just after the monument stop). Walk back a few feet to the intersection and turn left on Custer Street. At the end of Custer Street (three blocks) you’ll be facing the Arboretum. Free parking is available at 305 South Street, Boston, MA 02130 (William A. Hinton State Laboratory Institute). It's just a few minute walk away from the start/finish line. For more information, visit the Arnold Arboretum website. We'll have a table in Marathon Sports in Cambridge, located at 1654 Massachusetts Ave, Cambridge, MA 02138. Our team will be there from 2-4 PM on Saturday, May 19 (the day before the race). We strongly encourage picking up your t-shirt and bib the day before to avoid the line on Race Day. If you can't make it on Saturday, please plan to arrive between 7:45-8:45 am on race day to pick up your t-shirt and bib. 7:45-8:45 am -- T-shirt & Bib Pick-up: You can pick up t-shirts and bibs at the starting line. 9:00 am -- Race Start: The race will begin promptly at 9:00 am. We highly recommend you arrive early to get yourself settled in and ready to go. If you have any questions or concerns, please contact Race Director Jamie Gullbrand at james.gullbrand@campcasco.org, or by phone at 857-302-2726. 100% of funds raised through our first annual Run/Walk for Cancer Survivors directly support our summer camps and family services throughout the year, creating lasting support networks between families impacted by childhood cancer. We are so grateful to our sponsors for giving more local children the gift of camp in 2018.